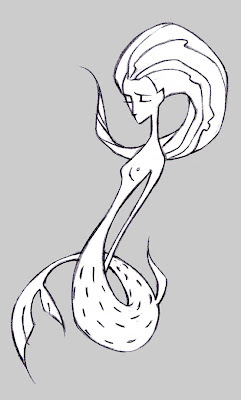 I like this :) I'm trying to design a merman "triton"-esk character for a friend, and I can't seem to get it how i like. Lovely simple character design. Great stuff yet again. I'm actually thinking of getting a giant squid tattooed on me such that it starts on my back and it's arms wrap around my shoulders, back, chest, etc based on a design from the new Monkey Island game. I've always told people I couldn't get a tattoo because I was waiting for you to design one. Now I'll have to say that you haven't specifically designed a Max tattoo and that's why I am still waiting. Thanks for the autorisation ! One day, I'll tattoo LeChuck somewhere. I wanna be a pirate since i'm a little girl ! Hey, I really like this. 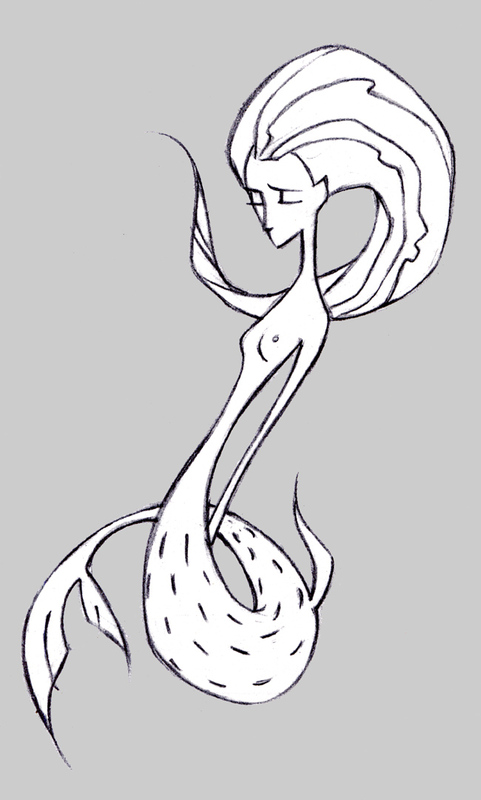 Do you think you could do like a Merman version of this? I'd really like to get this as a back piece eventually.